In the United States, our electric grid has long been seen as the most intricate system designed by man. It literally forms the backbone of what keeps our world running. However, it was designed more than 100 years before the first personal computer and new electricity sources and increased demand for electricity have put the spotlight on its need for an upgrade. We all can agree that we’re in the age of information where data has become a huge commodity. Utilities and thus our electric grid are no exception, with the need to process massive amounts of information to interact with homes and businesses and give greater visibility into how we are using electricity. Enter the smart grid. Despite its use as a buzz word in the power industry, the smart grid is still very much in its infancy. Beginning as a collection of smart meters and transmission lines, the smart grid is now integrating big data, analytics and cloud computing to adapt intelligence in the form of information and communications technology, giving us a grid that can effectively manage data and make us greener and more efficient. The smart grid is the poster child for the convergence of the IT and energy industries and we’re seeing everyone from startups to established IT companies enter the arena with the traditional power companies to help make it a reality. Much of today’s smart grid technologies have been adapted from other industries such as telecommunications and manufacturing to lend skills like automation, networking, storage, real-time and predictive analytics as well as cloud computing to the electrical grid. But these technologies have yet to be deployed on a wide scale. Although all smart grid technologies share the convergence of IT and OT as described above, the specific functionality of the applications vary quite significantly from region to region in the world. For example in Europe, applications will focus on integration of renewables and interconnection of transmission systems. China will focus on transmitting electrical energy over vast distances. India and some parts of Africa and South America will develop applications on the reduction of energy theft, and the U.S. will focus on reliability and the efficient upgrade of aging infrastructure. One thing needs to happen first everywhere – the true transformation of the grid will come from a move to develop an ecosystem where data is shared, and centralized and decentralized systems can work together, allowing these new technologies to work to their full potential. Currently our grid works as a collection of disparate systems, which limits the amount of collaboration and communication that can exist among them. Industry wide, we’re working toward a collaborative monitoring system that can record events that happen in multiple parts of the system to give grid operators a birds-eye view into the entire grid. This is where IT components can begin to take shape more effectively. Working in an industry where demand changes in an instant, big data and analysis tools become a critical component for helping energy suppliers improve the reliability, efficiency, and resiliency of the grid, but help energy consumers properly manage their energy use and in some cases, production. As we implement new technologies that tie the disparate systems together, we’re essentially creating an asset database for the utility. Real-time and predictive analytics provide an understanding of what is happening on the grid in an instant (and in some cases in the future) and allow us to configure the system to better minimize risk for the future or even prevent the fault from happening. Additionally, as utilities move toward a customer-centric model, they are able to use data and analytics tools to turn customers into active consumers of energy. By giving customers more control and insight into how they are using their energy, utilities are enabling them to use less. Services such as demand response also rely heavily on tools like these to examine customer data to figure out how to shape energy usage in response to energy market and grid conditions. 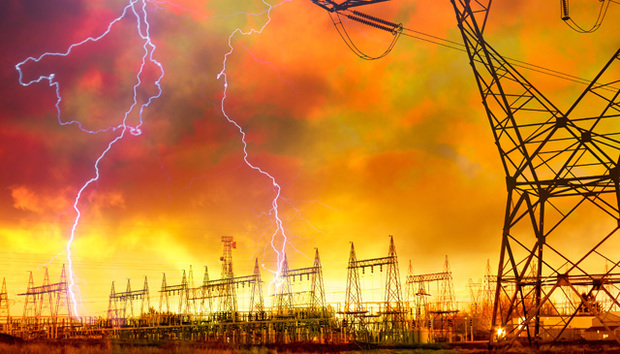 The cloud is popping up in every industry and has numerous implications for the smart grid. One of the largest applications for cloud technology is for storing all of the data that is gathered through applications like smart meters, sensors and building management systems, while making the access of information easier. Cloud can also serve as a tool to upgrade distribution automation tools and put a modern communications platform behind them that allows the automation to be managed. The U.S. is unique in that most of our grid consists of several thousand smaller utilities that don’t have the resources to invest heavily in smart grid services, compared to Europe with several hundred, and China with two. These utilities can benefit by taking the complex software that needs to be done onsite, such as Energy Information, and meter data management and delivering it through the cloud to be accessed wherever it’s needed. We’re also seeing managed services such as demand response be taken to the cloud, giving the utility a new way to interact with the customer and build a bigger network of participants. Another challenge for the smart grid lies in the transmittance of information. Communication technologies adapted from the telecom industry allow us to develop the communication infrastructure that enables the utility to make and act on decisions based on the data it is given. This move to a collaborative architecture through the smart grid echoes the trends we’ve seen in the focus on sustainable and “smart” cities. The smart cities revolution is the concept of a future filled with energy-efficient and connected cities through an IT infrastructure that can manage operations such as transportation, police and fire, hospitals and water and sewage management. But we can’t have a smart city without a smart grid. The smart grid is the foundation and IT platform for industrial, commercial and municipal facilities to connect to one another and operate as one. In a smart city, the grid will be critical for emergency services through the continued development of technologies such as microgrids. The smart grid will also form the grid architecture we need for true home energy management, the development of electric vehicles and weather prediction services – all key components of the smart city. Most can agree that the smart grid is needed for the effective management of energy and the future planning of our world’s cities, with many smart cities in Asia being planned from the ground up, and all of the smart cities in Europe and the U.S. being a “retrofit”. And while the IT and energy industries are in the perfect position to advance this market – it will after all be one of the most complex IT projects we’ve ever seen – the technology is just half of the equation. Businesses need to get off the sidelines and take energy out of the boiler room and into the boardroom. For energy to be taken seriously, we need to create the business case. By taking the time to get up to speed on how to leverage the smart grid to lower energy use and increase efficiency, we’ll begin to recognize the financial and sustainable value of advancing these solutions. Additionally, policymakers, industry associations as well as corporations need to take an active role by providing the framework and standards needed to capitalize on the opportunity of this market. By working together we can develop a sound smart grid strategy that will give cities and their economies a way to achieve a cleaner and more secure energy supply for generations to come.